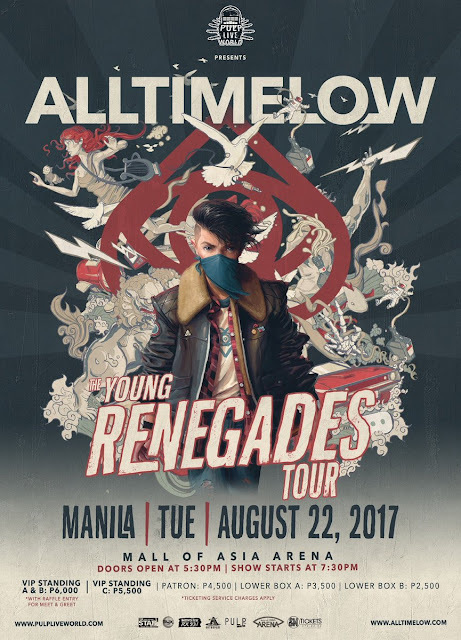 Ever since their spectacular sold-out show in 2015, American pop punk band All Time Low will finally return to Manila for the “Young Renegades Tour” this August. 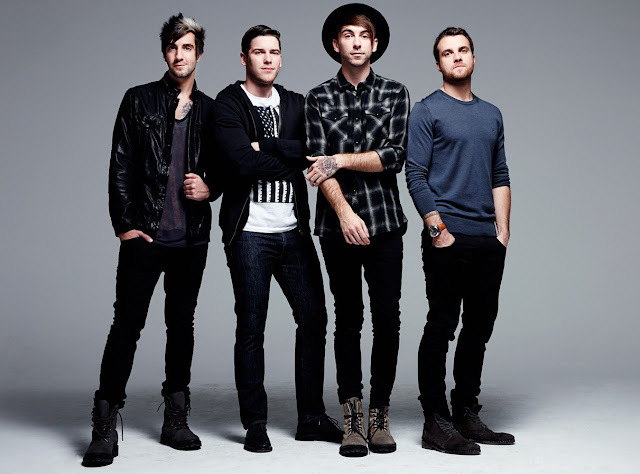 Since their debut in 2003, Alex Gaskarth, Jack Barakat, Rian Dawson, and Zack Merrick are now on a whole different league, having delivered anthem after anthem through six stellar studio albums. 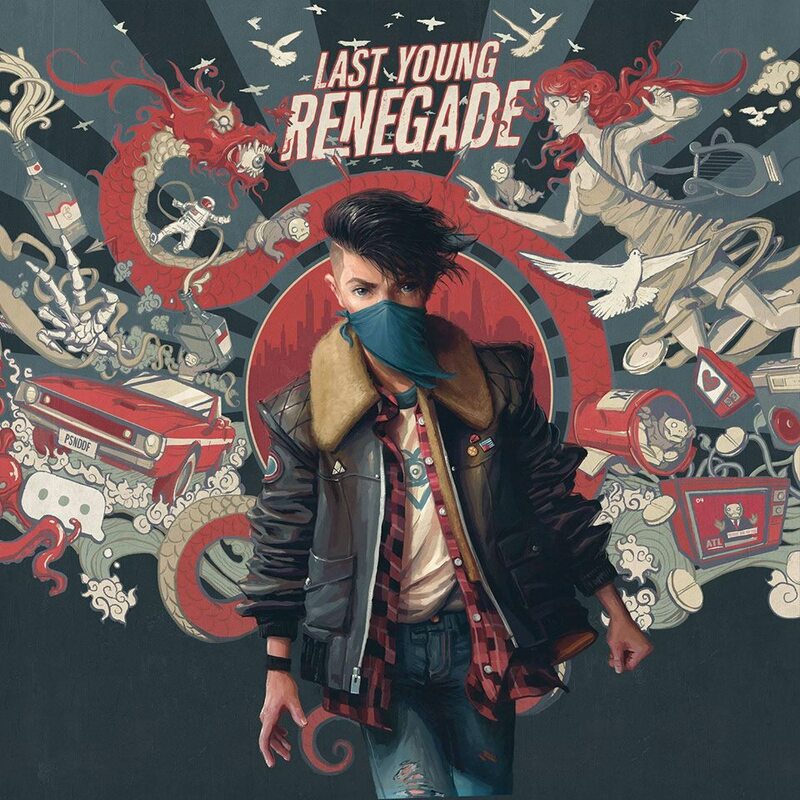 Their world tour is to support their latest and seventh title-track “Last Young Renegade”. From teenage pop punk youngsters to one of the scene’s biggest pop punk heroes and pioneers, the four-piece band has evolved so much since the released of their breakthrough single “Dear Maria, Count Me In”. The band is known for their many punk hits like “Weightless”, “I Feel Like Dancin”, “Dear Maria, Count Me In”, “Damned If I Do Ya (Damned If I Don't)”, “Somewhere in Neverland” and more. Organised by PULP LIVE WORLD, the upcoming concert will mark All Time Low’s fourth visit in Manila, Philippines. So far Philippines and Japan are the only Asian countries announced for the tour. 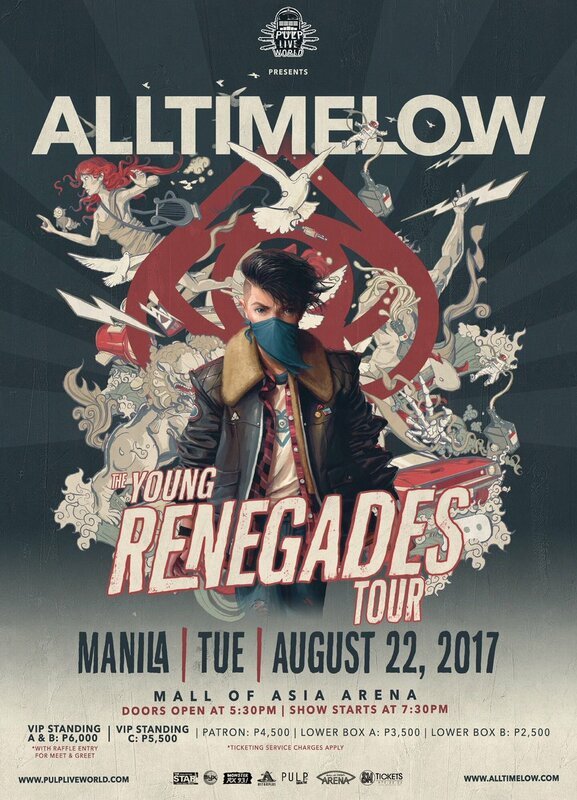 “All Time Low: The Young Renegades Tour” in Philippines will take place on 22 August 2017 at the Mall of Asia Arena. Tickets will go on sale on 2 April 2017 at smtickets.com, priced at PHP6000 (VIP STANDING A&B) with raffle entry for Meet & Greet, PHP5500 (VIP STANDING C), PHP4500 (Patron), PHP3500 (Lower Box A), and PHP2500 (Lower Box B).